iOS is one of the platforms I develop on: for my day job; as a contractor; and personally. I contributed to all of these apps in some way, at least the development, but they're not all mine. They are apps I consider "mine" enough to promote. Who needs fish when you have all of eternity to explore? Let your toddler paint your screen with fingers and toes—a screenful of notes and colors will keep them entertained for hours, dragging their attention back if they stray. The old game of "memory" with a twist. Can you keep track of swaps? Try to find the shells which have matching colored "peas". Clear the board to go to the next level. You may think you've played this game before—but you've never played it like this! Dodging the asteroids with your accelerometer-happy device is just the beginning. TAPPING the asteroids to destroy them has never been more satisfying! 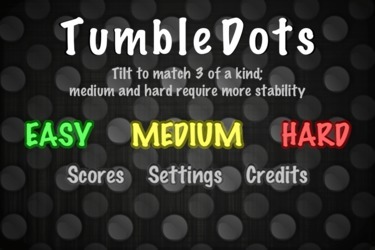 TumbleDots is a fast-paced match-3 game that uses your iDevice's accelerometer. Tilt the board to line up groups of three or more gems of the same color...sounds simple, but there's a great puzzle challenge made trickier in the motion. Saintify is a contemporary re-imagining of Patron Saints featuring all original artwork, biographies and prayers. All designed for you to share, with your own personal message, by email, Facebook or Twitter. A "Choose Your Adventure"—why do we always flub the hard choices? 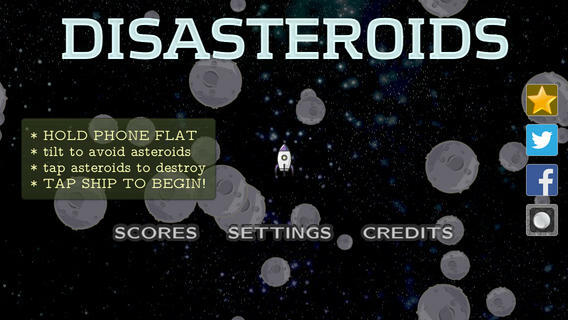 Detritus is a fast-paced shoot-em-up strongly based on the old classic Asteroids. Replenish your shield with power-ups and gain new weapons. "Cleaners" appear periodically, so watch out! The keyboard controls should be self-explanatory. Written in c++ with SDL, OpenGL, and OpenAL libraries. Yet another "falling tetronimos" clone. Except it's not. It's much more...twisted. 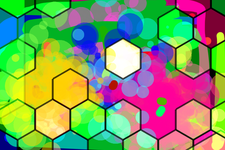 Written in c with GLUT, OpenGL, and OpenAL libraries. Compiled with MingW/gcc on windows, gcc on os x. Haven't had a chance to compile it for linux or *bsd, but the source code's free, so ... feel free. It should port painlessly, with one self-documented change in a function call. Looks like it could even port to the palm, in some fashion, with miniGL. Realtime fractal roamer, with "trippily intelligent ai"—tripper toy. Written for gnome (gtk+), and windoze. Needs some help speeding up the framerate. Faster computers will help some, but... also should add "spiraling" effect to autopilot. no need to stick to one orientation. written for windoze with Visual C++, plans to port it to gtk+, need to get it working under codewarrior for windoze first, just to be sure. It's a tetris clone, of course, which is being made as trippy as possible. Like, groovy, dude. ;) Tripper toy. Winzip can handle untar/ungzip, but you might also enjoy 7-zip for taring, and gzip for ungziping (gzip -d <filename>). Or, even better, grab this set of unix utils, including make, tar, gzip and a whole lot more! very happy java utility package, with text, email, database, credit card, and lots of other happy little things. source, binary, and javadoc. I use it everywhere. Yet another word game. See how many words you can make out of the letters provided, with a time limit. A little Ball applet that bounces. A little Bear applet that bounces. Tutorial I wrote for a class I TA'd a long, long time ago. Written by a friend, for me, some notes on what he did.